The Parti Québécois is calling on the the province's transport minister to crack down on Uber for its price surge during Tuesday's storm, saying the surge violated the terms of the one-year pilot project. The Parti Québécois is calling on the province's transport minister to crack down on Uber for its price surge during Tuesday's storm, saying the surge violated the terms of Quebec's one-year pilot project with the company. The terms state that in the event of a "force majeure," such as a natural or unavoidable catastrophe, Uber would not be allowed to have surge pricing go above 1.5 times the normal fare. Martine Ouellet, PQ MNA for the riding of Vachon, who is responsible for the party's taxi file, wants Transport Minister Laurent Lessard to stand up to Uber and apply sanctions in accordance to the agreement he signed with the company in the fall. The PQ allege that during the storm, fares were four times the normal price. CBC received reports from Uber customers Tuesday morning around 9 a.m. that the surge was about three times the normal fare. Lessard's office was not able to comment on the situation Wednesday evening. When did Uber cap ride prices? 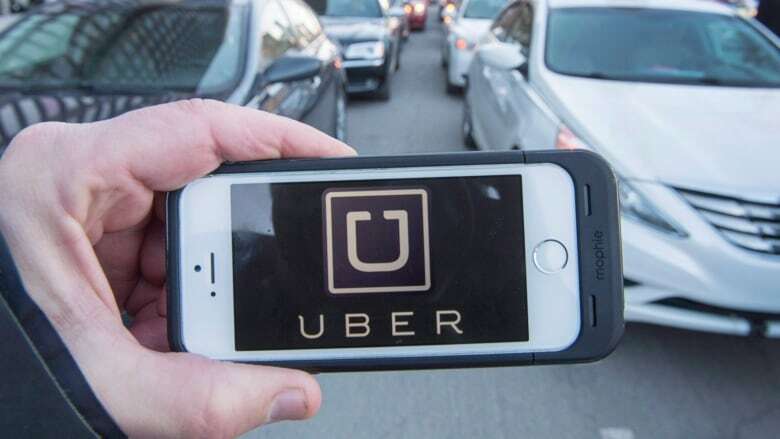 According to Uber Canada spokesperson Jean-Christophe de Le Rue, the company was monitoring weather conditions and as the situation deteriorated, it capped pricing. He added that after 10 a.m. rides were capped at 1.5 times the normal fare. Ouellet said that conflicts with the information the PQ received. "From the information we had, until noon there was still a surge at four times the normal price," Ouellet said. "It was only after a call from the government at noon that they decided to change it." A 12:07 p.m. Uber Quebec tweeted that the cap was in effect. Due to the deterioration of the weather conditions, surge pricing has been capped at no more than 1.5X until further notice. Stay safe! According to Ouellet, with schools closed and buses losing control on the street, on Tuesday it looked like a force majeure was clearly wreaking havoc on southern Quebec. Because of that, the Uber price surge cap of 1.5 times the regular fare should have been in effect, she maintains. "Of course they will always argue," Ouellet said of whether all parties agreed Tuesday's storm was a force majeure. "But we are asking for good faith and that's not what we've seen since [Uber] launched here." Ouellet added that the PQ was against the Uber pilot project because it created two kinds of taxi driver. She said now that it's in place she wants to see the government hold Uber accountable to what was agreed upon. Last week, CBC's French-language station learned that according to random checks of UberX drivers done by the taxi bureau, 55 per cent of drivers were not conforming to the rules of the pilot project. Almost half the infractions were for the drivers not having an Uber sticker marking their car while they picked up passengers.